We are focused on delivery the highest quality modalities to provide customers who wish to be there very best, the quickest bath to success. …Whether that is as a Pilates guru, Cross fit champion, Distance/Marathon runner, Triathlete or as a leader of a Company that demands you stay in tip top condition to deliver for your employees and customers on a daily basis. 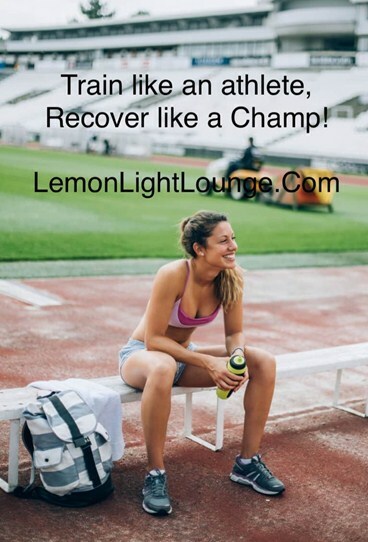 The modalities offered at the Lemon Light Lounge will reset your body back to its original factory settings. So when you need to recover from a fitness challenge, workout, stressful event or a health issue that you want to solve at the root cause…the recovery modalities we have do just that! Remove the bad cells and replace them with fresh new cells, energy, oxygen and nutrients. If our cells are healthy, so will our tissues, muscles, organs and entire bodies be healthy. Each of the therapies we offer imparts light energy back into your body so they are all extremely restorative. First a lot about Pulsed Electromagnetic Field Therapy…as it’s sweeping the nation….and something to really learn about One of the most important lessons I can implore to you regarding the use of electromagnetic therapies, is to clearly understand the actions they have in the body. These actions happen in all bodies every time PEMFs are used. Most diseases or health conditions have very common components to them. Using these concepts, you can begin to think about how athletes might benefit tremendously from PEMF’s. At the very least, athletes need to have their muscles working in an optimal fashion. This is important to maintain structural integrity and maximize performance of the body for a particular sport. Maximizing performance decreases the risk of injury, never mind winning a competition. The biggest health risk to the athlete is injury. PEMF’s should be used by athletes to maximize function of the body and at the same time reduce the risk of sports injury and to help the body recover faster from any injuries. With these ideas, athletes should be using whole body magnetic stimulation before and after workouts, tryouts, and any level of competition. Using PEMFs before competition causes the body to be optimized in its function. This will produce better performance. Some athletes are still functioning into their 40s at a world-class level because of continuing use of PEMF’s. 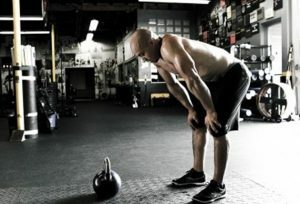 Typically it takes athletes 2 to 3 days to recover from competitions. At Olympic events East Germans and Russians get be back the next day like robots without showing any of the effects of wearing out. That’s because they are all using some sort of PEMF stimulation devices (and have been for some time). These are not illegal and are not considered to be doping. Essentially they are therapeutic systems that help to wash the stress out of the body and reduce swelling and muscles and remove lactic acid. Research shows that PEMFs stimulate a process called myosin phosphorylation. This is the process of energy production in muscle. Phosphorylation produces ATP. ATP is essential for cell energy. Depleted ATP creates weak muscles. Workouts and a lot of strenuous muscle activity, deplete ATP. Rest restores ATP, assuming the body has the building blocks necessary to replenish it (Oxygen & Nutrition). PEMFs restore ATP by stimulating myosin phosphorylation. Sauna therapy causes net muscle growth (which helps reduce fat simultaneously). During a sauna, your body releases massive amounts of heat shock proteins (HSPs). These HSPs help prevent oxidative stress (a cause of muscle breakdown) by scavenging free radicals and maintaining healthy glutathione levels (R, R2). The HSPs released during exposure to heat have also been shown to repair damaged proteins that, otherwise, would likely be destroyed by the body (R, R2). When it comes to the use of a Far Infrared Sauna we must consider another aspect of muscle recovery. When we are able to spend 20 to 30 minutes in the FIR Sauna heat shock protein are generated along with HGH releases at levels greater than 400% if you hadn’t used the Sauna. This is simply incredible beneficial for recovery. Muscles that are very active are stressed and therefore need higher levels of heat shock protein. It was discovered that when you damage a cell by heating it, heat shock protein is produced. It was also discovered that if you induce heat shock proteins in advance of potential damage, using stimulation techniques that are very gentle (Like a FIR Sauna), you will reduce tissue damage. Sauna use can increase IGF-1, a vital hormone for growth an recovery. One study that looked at this, found a 142% increase in IGF-1, which is also crucial in healing, during sauna use. We’ve seen how muscles use oxygen during exercise, but how does oxygen affect your body once you’ve kicked off your shoes and whipped up a protein shake? Let’s take a look at how oxygen can help your muscles safely recover faster, so you can hit the pavement or the gym with less time in between tough workouts. Strength comes from recovery, and recovery hinges on your body’s consumption of oxygen. But to understand this, you must first understand what happens during exercise. First, your muscles use the ATP stored in your body; once oxygen levels get low, myoglobin, which is how oxygen is stored in your muscles, is used to fill the void. Your blood vessels expand to allow oxygen-rich blood to flow more freely to your muscles, and your heart rate increases. 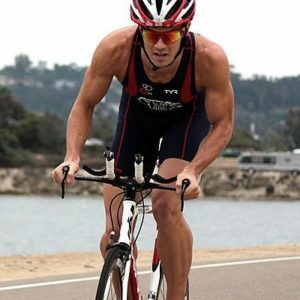 As exercise continues, your glycogen stores are depleted as they produce lactic acid, and your body becomes exhausted without the fuel to keep it going. When you’re done exercising, your body is in oxygen debt. You’ve used up the stores of ATP, glycogen, and myoglobin. Oxygen is required to refill all of these deficiencies, which is why this simple compound is so crucial to your recovery. Four things take place during recovery. 1. Steady breathing begins to replenish the oxygen in your body, which helps to refill the myoglobin oxygen stores in your muscles. 2. When you down a protein shake or even a Snickers bar, oxygen is used to convert this food into glucose, to refill your body’s glycogen supplies. 3. Then the combination of glycogen and oxygen works to restore ATP levels in your body, which has been depleted completely. 4. Finally, you’ve got all of the built up lactic acid in the kidneys and liver to deal with. Oxygen is required to break this acid down in order to convert it to pyruvic acid, which is then broken down into ATP. All of the four main stages of recovery require a great deal of oxygen, which is why supplementing with concentrated oxygen after exercise has such a profound effect on recovery. While the air we breathe is only about 20% oxygen or less, concentrated oxygen supplements can help you restock your body’s oxygen supplies in much less time. Now that you can utilize small, portable cans of concentrated oxygen immediately after exercising, you can recover at an exponentially faster rate, and kiss overtraining goodbye. • Fat Metabolism – Although the exact mechanism is not yet fully understood, red light therapy increases the body’s ability to metabolize fat. It may be due to its ability to disperse (some say melt) adipocytes, which are cells that store fat. • Increasing Energy Levels – As we’ll discuss in the next section, red light therapy generates cellular energy, thus increasing overall energy levels. • The science of how our bodies metabolize (or “eat”) light to achieve these benefits centers around something called cytochrome c oxidase, which we’ll dive into more later. But first, you’re probably wondering . . .
PhotoBioModulation is fast becoming the market leading method when it comes to sports recovery. It has so many positive effects on the body it easily outmaneuvers multiple other therapies. In a recent comparison against Cryotherapy it won 5/5 times. The most studies done on PhotoBioModulation were done on hand held units. The addition of Whole- body units at the power levels they can achieve and deliver, has raised the bar for Sports recovery modalities. 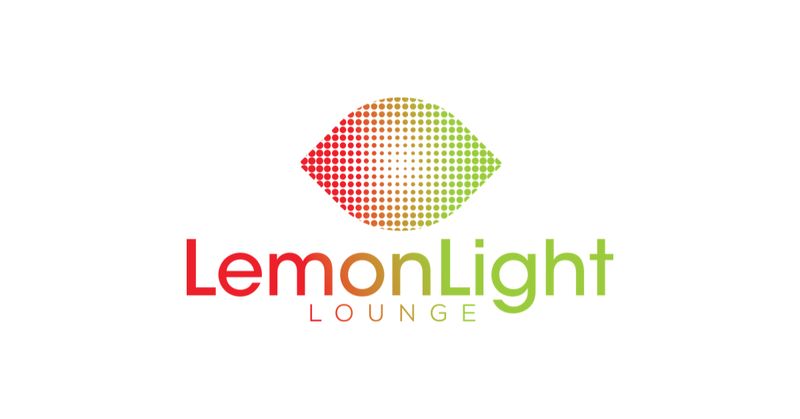 At the Lemon Light Lounge we have the most advanced PhotoBioModulation technology on the market. It has the most power, comprehensive set of 5 efficacious lights, the ability to pulse (at Nano second levels) which increase effectiveness and the shortest cycles of therapy from 8 – 12 minutes maximum. We can incorporate audio therapy as well upon request. 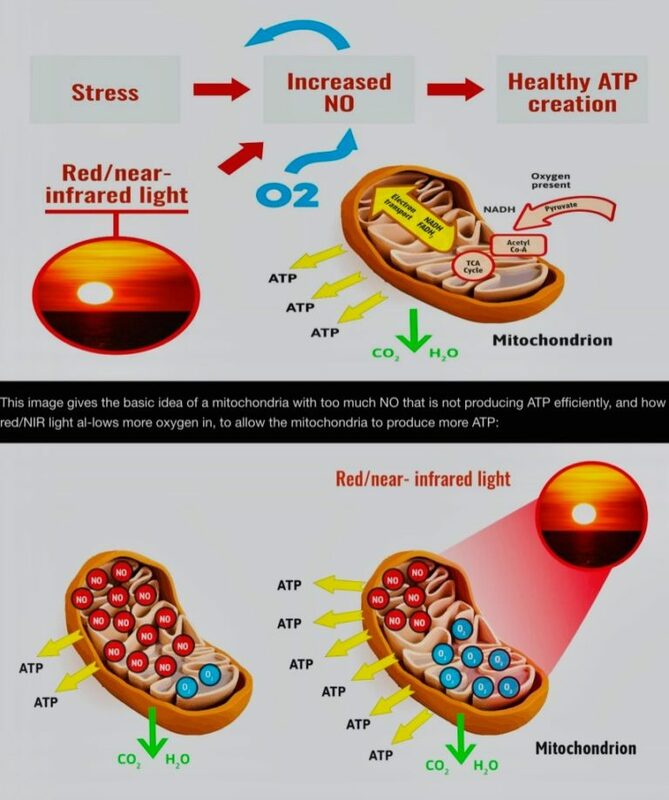 The Mechanism of Action of PhotoBioModulation is for the (2-Red, 1-Green + 2-Infrared) light to be absorbed directly into the Mitochondria where it does three main things; 1) Releases Nitrous Oxide, that flows into our blood stream softening cell walls and relaxing our vacuolar structure; next 2) Reactive Oxygen Species is released which triggers a DNA response to repair tissues that needs it; and finally 3) ATP production is increased immensely as it now has the available space and capacity to do its job since the junk has been removed. A cell that was once producing just 3 ATP’s per rep is now going to be producing as much as 18 or more. A 600% increase in ATP efficiency is going to enable more strength, endurance and energy for whatever your body needs it for. The markers for Photobiomodulation therapy have been incredible. PBMT was superior in reducing creatine kinase, inflammation and lactate compared to cryotherapy following strenuous/high intensity aerobic or strength muscular exercise. PBMT was also shown to improve post-exercise muscle performance and function. Giving you an edge all day long physically. The benefits of PBMT extend well beyond physical though as it is being studied for Alzheimer’s and a host of other mental disorders that can benefit from a reduction in Oxidative stress. Photobiomodulation also has a very beneficial impact on our Thyroid and hormones. Researchers have found that it also has a valuable boosting impact on thyroid function for both women and men. There are also clinical studies that suggest it may increase testosterone production in men. The system we have created (with all 4 therapies) at the Lemon Light Lounge is what we call the Infinity Healthy Protocol. Oxidative stress is the Root Cause for 85% of chronic disease so you are opening up a whole new level and quality of life by introducing these therapies. With the additional treatment of injuries with PBMT, PEMF’s, Oxygen and FIR Sauna therapies, we are enabling the weekend warriors, serious athletes, Pilates guru’s, Cross fit competitors and Business leaders to Look, Feel, Think and Perform better than ever! You will establish a whole new standard for yourself!